The pawn will register a hit for the e4 square, but so will all the other remaining pieces for their home squares! 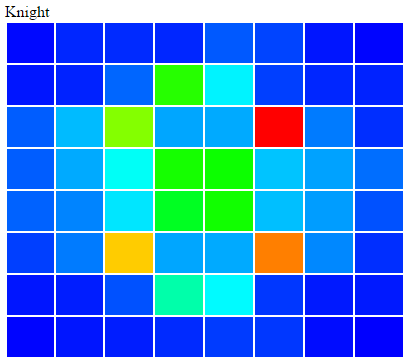 The will generate a heat map that says all the pieces like their home squares best which isn’t really helpful. resolvers += "clojars.org" at "http://clojars.org/repo"
libraryDependencies += "com._0xab" % "chesspresso" % "0.9.2"
this method expects the PGN file as a File object, and reads it using the chesspresso PGNReader. this is the actual method that reads the games to a list. Chesspresso iterates over the games and streams the games from the file on demand (because PGN files may contain more than one game). Since we are consuming the whole stream this will not work if you try to process a PGN file with lots of games in it (around 1M suffers on my 8gb machine). If you need to split a PGN file to smaller files use pgn-extract. This method will get the moves made in the game as a list and concatenate them using a comma to the CSV format that I showed you above. Chesspresso will throw an exception on an invalid move, and some PGN’s do contain invalid moves. All that’s left is to execute the parsing methods and save the CSV move list to a file and we are ready to jump into spark to process this data. Thats what the main function above does. So let’s define some spark configs like the CSV file location etc. 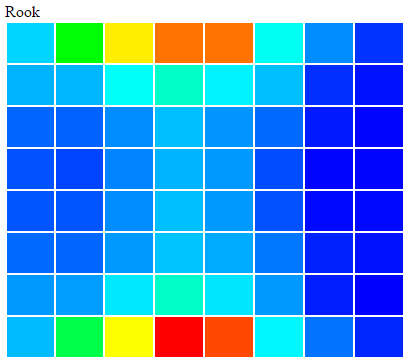 we will also need a data structure to hold the results, how many times each piece moves to a square. 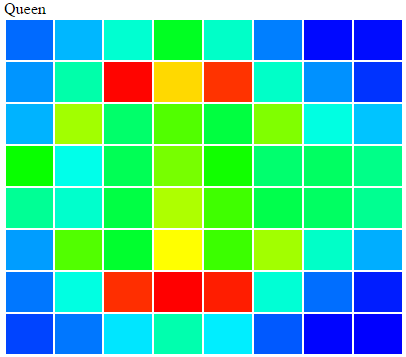 this map can be though of like this: the keys represent each piece (the colors are irrelevant) and the values are an array of size 64 – one slot for each square on the chess board. When a piece moves to a square we will increment the count in the array. 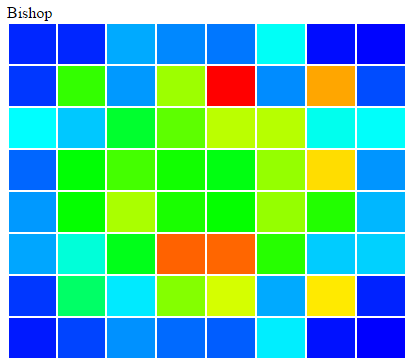 this will give us the total numbers of moves to each square for each piece. 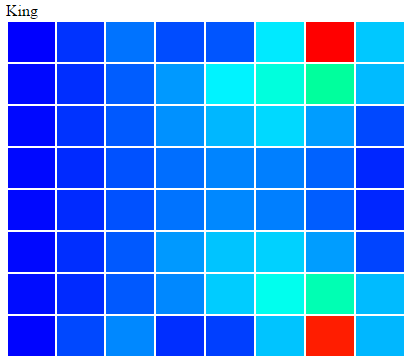 Just what we needed for the heat map! 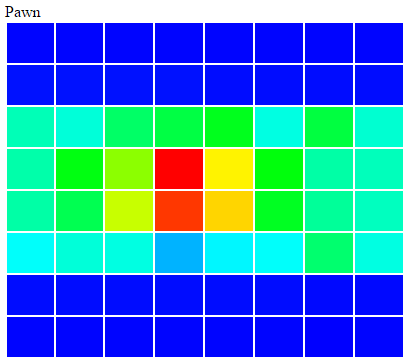 the html() function used here is a string template that uses the values between 0 and 1 to create a HLS color for a 5 color heat map. check out the code in the repo – it’s too verbose to include it in this post.